This area provides purchasing coordination and services for the department with a priority on purchasing equipment and supplies required for wildfire suppression. This area also provides administrative, inventory management system administration (IMIS), payroll, financial, receptionist, facility maintenance coordination services for the section and fleet coordination for the division. The mechanical services section repairs, tests and certifies powered equipment for the Forestry Division. This section also man’s mobile equipment repair trailers during emergency situations. In addition, the mechanics also assist in providing training to Wildfire Management Branch staff on the use of powered equipment such as tower generators, fire pumps etc. This area refurbishes non-powered fire equipment and materials for the Forestry Division. It sorts, cleans, repairs and repackages all equipment, tools, materials and supplies used in fire suppression activities. This area creates specific equipment items that are not available commercially and it also administers the provincial contract for hose refurbishing. Receiving, storing and distributing of fire equipment and supplies. Staff provides equipment brokering services for moving fire equipment between field locations. They also provide warehousing and distribution services for other divisions within the department. 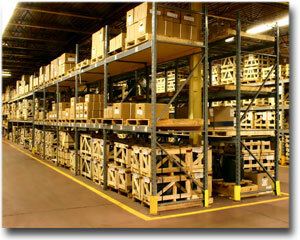 In addition, this section is responsible for the storage and distribution of the uniform parts for Department staff.